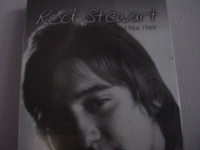 "Rod Stewart, 1964 - 1969 - 3 Disc Box Set (Import)"
OUT OF PRINT PRESSING WITH 48 PAGE BOOK - DETAILED TRACK INFORMATION AND STEART CD ROM - DIGITALLY REMASTERED. THIS PRESSING IS A TREMENDOUSLY RARE LIMITED EDITION. ALSO ADDED TO THIS LISTING IS ROD STEWART LIVE FROM THIS EARLY PERIOD. ROD STEWART LIVE CONTAINS THESE RARE LIVE TRACKS - SHAKE - BRIGHT LIGHTS BIG CITY - WHY DOES IT GO ON - LITTLE MISS UNDERSTOOD - SO MUCH TO SAY - COME HOME BABY - CAN I GET A WITNESS - I JUST GOT SOME - DON'T YOU TELL NOBODY - JUST LIKE I TREAT YOU Track listing 1. Up Above My Head 2. Good Morning Little Schoolgirl 3. I'M Gonna Move To The Outskirts Of Tow 4. Bright Lights Big City 5. Ain'T That Lovin You Baby 6. Don'T You Tell Nobody 7. Just Like I Treat You 8. Moppers Blues 9. Keep Your Hands Off Her 10. Bright Lights Big City (Live) 11. Day Will Come (Demo Version) 12. Why Does It Go On (Demo Version) 13. Can I Get A 14. Baby Take M 15. Oh Baby Don 16. Lord Rememb 17. Shake (Demo Version) 18. I Just Got Some (Demo Version) 19. I Could Feel The Whole World Turn Round Und 20. Little Missunderstood (Demo Version) 21. Come Home Baby 22. Stone Crazy 23. Little Missunderstood 24. So Much To Say 25. In A Broken Dream 26. Blues 27. Cloud Nine 28. Shock Treatment 29. Diamond Joe 30. Engine 4444 31. David Wedgbury Album notes For the first time, every Rod Stewart recording from the 60's with the exception of his work with Jeff Beck Group. Featuring several tracks that have never before appeared on any Rod Stewart album. 3CD set.